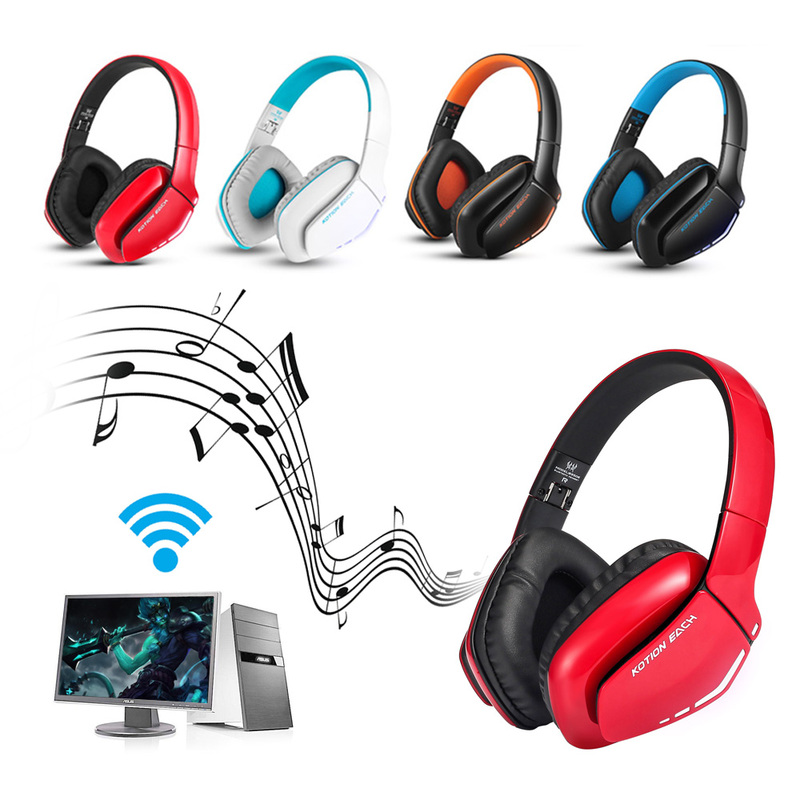 Bluetooth/Wired Gaming Headphones: B3506 is not only a Bluetooth headset, but also a wired headset. Compatible with many devices by connecting its included audio cable, such as for iPhone 6 / 6S Plus, Samsung S5, S4, LG, Xiaomi, iPad, PC, laptop, PlayStation 4, etc. This KOTION EACH B3506 Bluetooth wireless headphone is equipped with Bluetooth 4.1 Version Chipset with up to 33 Feet of Range without obstacles. Hands Free headset, receive and make calls with built in Microphone function. Listen to your favorite music wirelessly. 3.5mm aux tangle free cable with a Play/Pause/Answer/Hang up calls button, USB to Micro USB charging cable and English manual instruction.